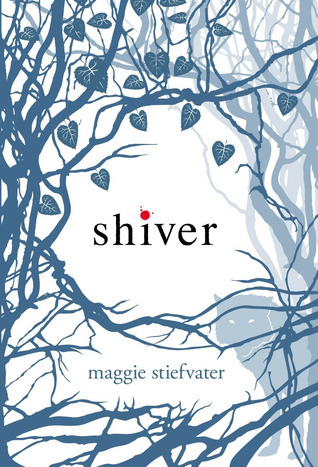 I'm so glad you decided to give Shiver another chance. It was the first book by Maggie I read so I saw it a bit differently. I guess I'd be just a touch less enthusiastic after the magic of The Scorpio Races. But this will always remain the book that made me fall in love with Maggie's writing. She really is something else, I admire everything she does. You're right about all the oddities of GRace and Sam's relationship working. In another book, I'd be severely annoyed, but here it all just fits together somehow. Interesting that you liked this one much better on the re-read Keertana! This was a series I just never quite got into, but I tried Shiver a long time ago way before I started the blog, so I wonder if I would like it better now. I did so love The Scorpio Races and The Raven Boys, so I know I love her writing. Hmmm. Might have to conduct a little experiment! I loved this story as well, Keertana! The language was beautiful without distracting from the flow or plot. I swooned over the romance between Sam and Grace! Such a quiet intensity they shared. I'm glad you gave this a second chance. Wonderful review. :). As much as I loved this story the sequels were not quite as good, IMO. There are few books in my shelves that showed different sides upon re-reads but mostly, I don't re-read books that I've given up on to begin with. Maybe it's time I give them a chance. I love that you tried the novel again with a completely different understanding than when you tried it first. Love the way you took us on your journey. Oh I so need to start up again with this series. I've only read this one and have the second on the tbr. Need to read the rest. First of all, it's pretty impressive that you allowed yourself to go back and revisit a book that it sounds as though you really didn't enjoy the first time. It can be super difficult to devote the time and energy towards re-reading a book, especially given the drive to read more and more. And re-reading something you didn't love off the bat? I'm not sure I'd ever really do that. At least before now, but your review here is worth considering. It is wonderful that you didn't give up on this book, since it does sound like you found a lot to enjoy within it. I'm a bit over the paranormal romance genre myself, even taking into consideration all you said. Who knows, though? Maybe I will try to pick this up if I ever find myself within the right mood. It makes me shivery happy that you loved this book on your second read. You actually make me want to re-read this book as well! I completely agree that Stiefvater's books just get richer and more wonderful the more you're inside of them. Her prose and ability to draw tension and emotion with the tiniest detail is divine. I love Sam and Grace so much! Lovely review. I'm glad that you decided to give Shiver another go Keertana and you ended up really enjoying it. I normally find it really difficult to go back to a book once I've put it down half way through, but good for you, for giving it another try! Although this book didn't work out for me as much as I'd hoped, I agree Stiefvater definitely has a beautiful way with words! Gorgeous review as always Keertana! And your review also reminded me about how much I disliked her parents. God, they were truly, truly terrible parents--the way they dismiss Grace is worse than physical abuse in some ways. I remember being SO angry with them after reading this book and series.